I know that change is not easy, but it is not impossible. The lifestyle changes in Sleep Program take commitment and patience. We all want to be healthier, and we know that we must do something in order to make these changes. You are probably reading this blog post (thank you!) because the amount of sleep, therefore actually making the lack of sleep you are getting, is not working for you. I wish to remind you that change is an ongoing process. So, I wish to talk about how you know you are ready for change and how best to achieve this. In a research carried out and explained in the book Changing for Good, Drs DIClemente & Prochaska and John C. Norcross, PhD, described what they learned when they studied more than 1,000 people who were able to positively and permanently alter their lives without psychotherapy. They found that change does not depend on luck or willpower. Instead, it is a process that can be successfully managed by anyone who understands how it works. Once you determine which stage of change, you’re in, you can create a climate where positive change can occur, maintain motivation, turn setbacks into progress, and make new beneficial habits a permanent part of your life. I am those things to my sleep clients during the 4-week program, (& beyond if wished). What are the five stages of change, let’s look at them. Individuals in this stage are not even thinking about changing their behaviours. They haven’t seen that their lifestyle is a problem affecting their health. Individuals in this stage are willing to consider the possibility that they have a health problem, and the possibility offers hope for change. However, in this stage, people are often ambivalent, They are on the fence. What lets me know if someone in this stage will ultimately be successful is if he or she shows scepticism (“I don’t believe this, but I’m willing to look at more information”) rather than cynicism (“I don’t believe; it’s untrue”). Contemplation is moving in the right direction toward change, but it is not a commitment. Individuals in this stage will make a serious attempt to improve their lifestyle behaviors, in the very near future. They are ready and committed to action because they have garnered enough information (from reading books, talking to people, being reflective & honest in their view of their live & health) and are now convinced that behavioural change may improve their health. Individuals in this stage put their plan into action, making changes to their life which will have a positive impact on their sleep. In a few weeks, they start to see results, and nothing succeeds like success. 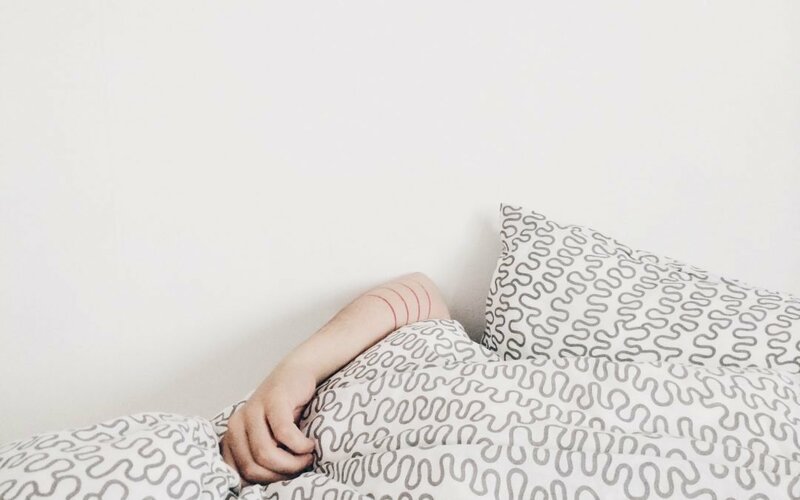 A person who had implemented my sleep plan begins to see it work and experience a positive change in the sleep and therefore their health, daily life etc all start to improve. I tell my patients all the time that humans are the only species on the planet that finds something that works and then stops doing it. Change requires building a new pattern of behaviour over time and sticking to it. It’s common that when you’re feeling great, you will be tempted to change your bedtime, drink that coffee to late in the day. However, after you do that, I bet you won’t feel so great anymore, and the value of maintenance will become obvious. Its human nature to blow it and go back to bad habits or old ways. Then we feel lousy, get back on track and feel better again, the temptation of the small top up of a glass of wine (“I’ll just have a little top-up”) too late at night will dissipate. After 6 months of maintaining your new lifestyle choices, the researchers found that old lifestyle habits no longer pose a significant danger or threat. Taking the Ready-to-Change Quiz (below) will help determine if you are truly ready to start my sleep program. I’ve found that the most successful people come to this point in their lives at the determination stage. They’re ready and excited, but they need guidance. This quiz will allow you to gauge your desire, receptivity, and commitment to improve your health. We all would like to assume that we’ll do whatever it takes to be healthy, but in reality, that’s usually not the case. You may have the desire to be healthier but are stuck in the contemplation stage. To be successful in this program, your desires need to align with your determination. If you can answer these questions positively, you know that you are ready to make a change. If your answers reveal an unwillingness, you need to explore what beliefs are holding you back. For many of my clients, what pushes them off the fence and into the program is seeing that they are currently on insomnia & medication cycle. It then becomes a “OMG” moment for them when their GP / doctors can offer any other support or method for them except writing a prescription for sleeping pill &/or antidepressants and these are no longer having the same effect which means the dose has to be increased. It is that “catch 22” situation as the sleeping pills & anti-depressants are in fact heightening the problems, antidepressants cause sleeping problems & sleeping tablets cause mood swings & depression so they become a slow downward spiral. So know I have helped explain the circumstance you might be finding yourself in or certainly heading towards due to the lack of sleep. Therefore, let me suggest you complete this Ready-to-change Quiz and find out how willing you are to do the following? How confident are you about your ability to organize and follow through on the recommended health and sleep-related activities? How supportive are the key people in your life to your making these decisions? Now you have completed this, what do the results tell you? If the answers you have more than 9 answers between extremely & somewhat then you are exactly where you need to be to succeed in making the right changes in your sleep to enhance your life. If your answers are more than 3 neutral, & 6 somewhat or extremely then I’d ask you to consider starting a program as I will be able to help you focus to succeed on the program. Should you have found that you have 5 or more Somewhat or not willing answers in your quiz then I would ask you to reflect on what is making you feel that those are the answers for you. You obviously do wish to improve your sleep to have completed the quiz so I would ask you directly what benefit is becoming to you for holding onto this unwillingness to change. If this at all self-doubt then I will be able to help you with this for sure as I wish nothing more than to help those most in need as negative self-doubt can be very powerful, that said, my belief in you is more as you have completed this quiz and are continuing to read this blog so there is a part of you who does wish this change. So let me help you achieve that. 7 or more Somewhat or not willing, I understand you are on a dissatisfied road at the moment however the truth of the matter is you are not ready to commit to yourself or the program to ensure success so it would be unkinder & more unhelpful to us both to suggest you start a program. What I would, therefore, suggest that you maybe could return to complete the quiz at a later stage, say in a couple of months, and see if the answers you give would be the same or if the situation was no longer sustainable and change was essential. When you are at this point I would be very pleased to hear from you. 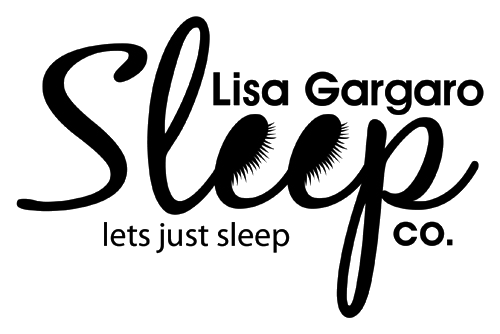 For those who are committed and ready to make positive changes & enhance their life as much as you can then I wish to reward your love for yourself, live and embracing change by offering you a discount on one of my adult sleep programs or one of my child’s sleep program which needs help of 20% by using the discount code LISA’SLOVE. Alternatively, there is nothing like facing a challenge & succeeding than having positive supportive people around you and by acknowledging this I wish to offer you the opportunity to start a program with a friend where the 2nd package will be given for ½ price. This is due to the fact your friend will also become your accountability buddy for you throughout the 4week program. So instead of payment £375 each for a program, you both get the sleep program for £281.25 saving you a whopping £94 each and have the best support around you. Let’s make this moment the defining one& hope you enjoyed my blog about being ready for a change. I hope I have inspired you to look carefully at your health & live and to make those changes in your life you need to to be the best version of yourself you can be. It doesn’t just have to be sleep, maybe it’s the course or career change you have always wanted, weight program, gym program, voluntary work, being the best parent or partner, you can be. All of these areas of your life are valuable and apply these thoughts to them can only improve them & make your life more fulfilling & complete.